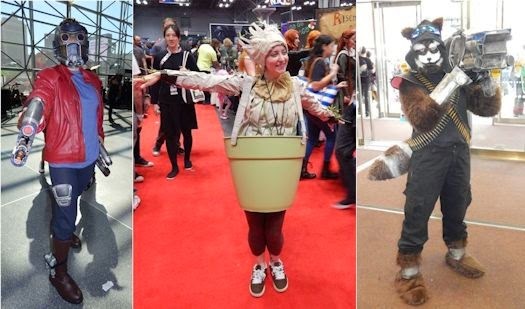 One of the major reasons I love cosplay is that I look forward to seeing what wild, wacky, and wonderful characters con-goers have created or recreated. 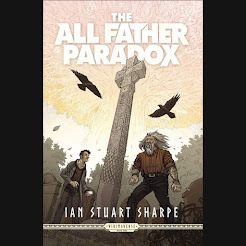 I love the way people showcase their creativity and at the same time pay homage to beloved characters, introduce us to new characters, or invent amazing mashups. 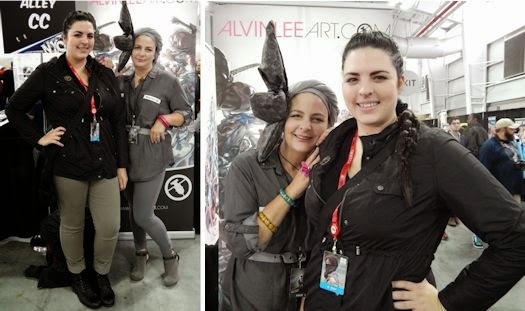 This is my second year attending NYCC and since I attended all four days, I was able to spend more time interviewing and speaking with cosplayers. My experience to date has been that 99.9% of cosplayers are friendly, good-natured, polite and enthusiastic people. Of course, there is that .1% that just doesn’t seem to get it. 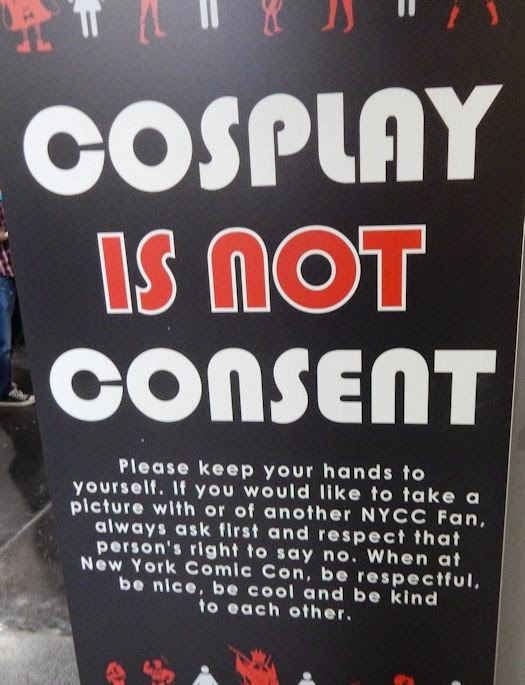 NYCC has 0 tolerance for any type of harassment and as a reminder, these signs were placed throughout the convention; Cospplay IS NOT Consent. There are varying degrees of detail that the cosplayer can choose to immerse themselves in. 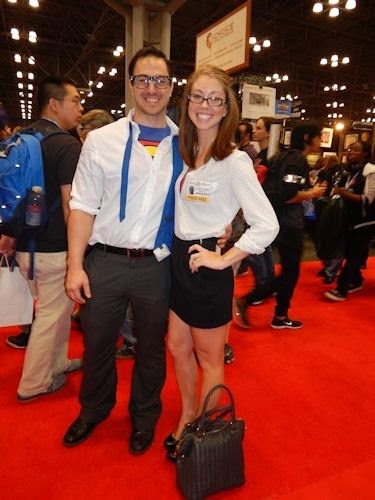 For example, take this Clark Kent and Lois Lane, simple yes, but also simply stunning! 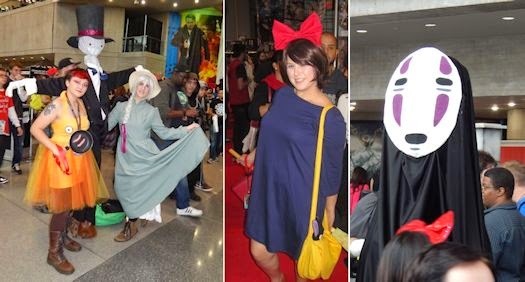 I admit to being a complete sucker for cosplayers who portray characters from my favorite fandoms. I have a soft spot for anything Studio Ghibli so this creative Calcifer, Sophie, and Turnip Head from Howl’s Moving Castle really touched me with its beauty and innovation. Kiki from Kiki’s Delivery Service shared a dazzling smile and I also was lucky enough to spot No-Face from the movie Spirited Away. My newest fandom is Attack on Titan which just completed its first season on Funimation. In the past, I’d see these cosplayers at Comic conventions but I had no idea who or what they were. I researched the costumes, discovered the name of the anime and started watching the series. 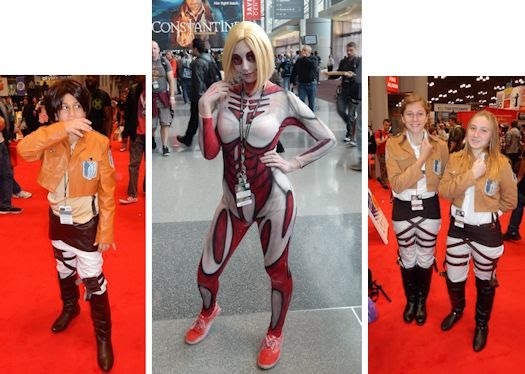 I can honestly say I became hooked on Attack on Titan because of conventions! Shown here are: Eren Jaeger, a phenomenal Female Titan and soldiers from the Scout Legion. The gaming world’s Legend of Zelda series was represented in quality fashion as evidenced by these charismatic cosplayers. I learned that some of the cosplayers go as different characters over the span of their time at Comic Con. 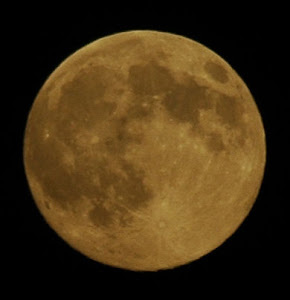 This mean Mr. Freeze from Friday came back on Sunday as an interactive Doc Ock. He stayed totally in character as Mr. Freeze but interestingly enough, later in the day I caught up with him removing his costume and that’s when he really blew me away. 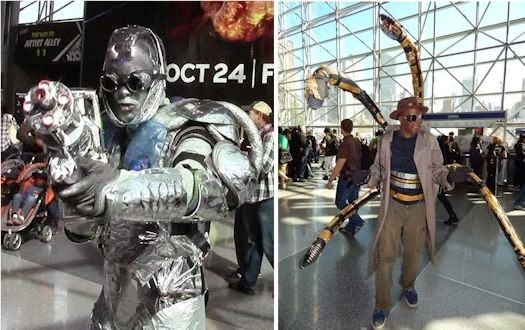 It seems that he feels cosplay is important because it helps the environment, or at least the way he does it. He has a knack for collecting items that would end up as land fill and figures a way to incorporate them into his different cosplays. Upcycling to the finest degree! Who would have thought that diabolical Mr. Freeze was so articulate? I was really impressed with this gentleman. 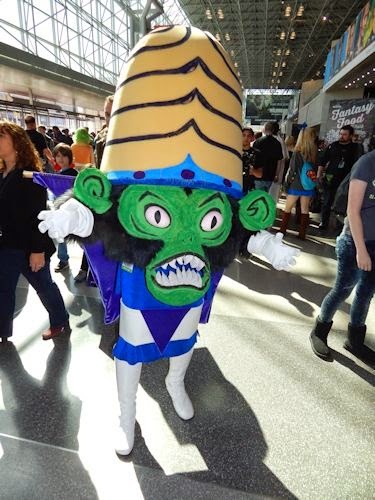 He was a fan favorite for both his costumes and his interactions with con-goers and although he portrayed villains at NYCC, he is definitely a hero in my book. The summer blockbuster, Guardians of the Galaxy was big this year. My favorites were Star Lord, this baby Groot, and of course this ready for action Rocket Raccoon. Discovering these delightful (and one not so delightful) inhabitants of Middle Earth got me in the mood to shop at Weta Workshop. 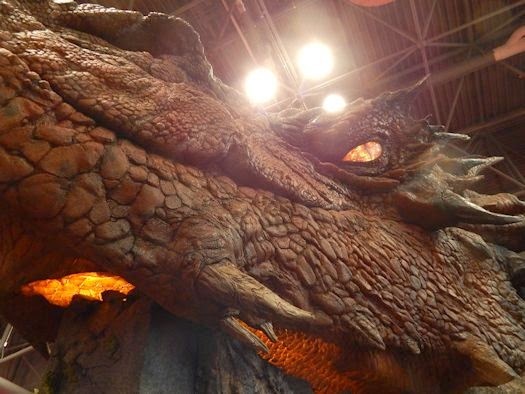 I was thrilled to see that they brought Smaug with them. He was glorious to say the least, especially when he woke from his slumber, opened his eyes and the fire began to burn in his throat and chest. 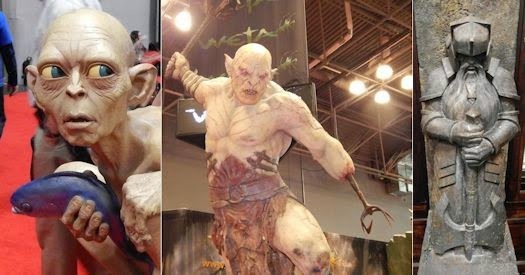 Gollum, fish in hand and Azog the Defiler were also in attendance. The Weta Workshop staff couldn’t be friendlier. While purchasing a leather bracelet and some pins, I asked what the best time of year to visit New Zealand was. A staff member told us the best time of year was March or April and that we had to come to Wellington and visit the Weta Workshop Cave. My daughter and I spent quite a bit of time there and enjoyed all the delightful sights. Weta Workshop displayed must have items like Gandalf’s hat, weapons, like this black Arrow from Lake Town and even the Two Towers. Star Wars fans seemed to outnumber Star Trek fans this year, even with Star Trek: The Next Generation cast members in attendance, signing autographs, taking photographs, participating in a panel and being cosmically cool. 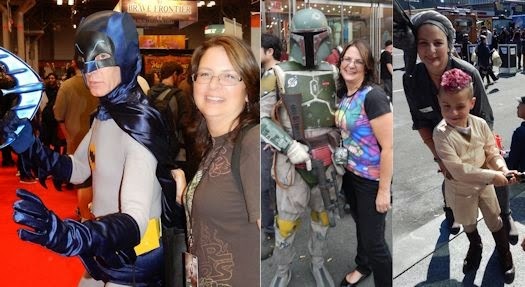 Maybe it’s the light sabers, or the fact that filming is underway for Episode VII, but no matter which universe you prefer; at NYCC there were only winners. It wouldn’t be NYCC without Super Heroes and Villains. 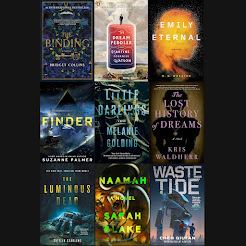 From the strongest to the smallest here are some of my favorites. NYCC is a blast and I even found the time to ham it up with a few fun characters. I posed with a look a-like Adam West from the original Bat Man Television series, Boba Fett, a fan favorite, and the most adorable Padawan learner from the Star Wars universe. Chris Hardwick from the Nerdist and AMC’s Talking Dead was on hand Friday afternoon to take selfies with fans. Chris was nice enough to stay on the floor for a good chunk of time, taking photo after photo. My excuse for the blurry shot is that this man was so full of energy, he stayed still only long enough to snap a pic, and then he was on to the next fan and their camera phone. I was pretty impressed with his positive and fun loving attitude. 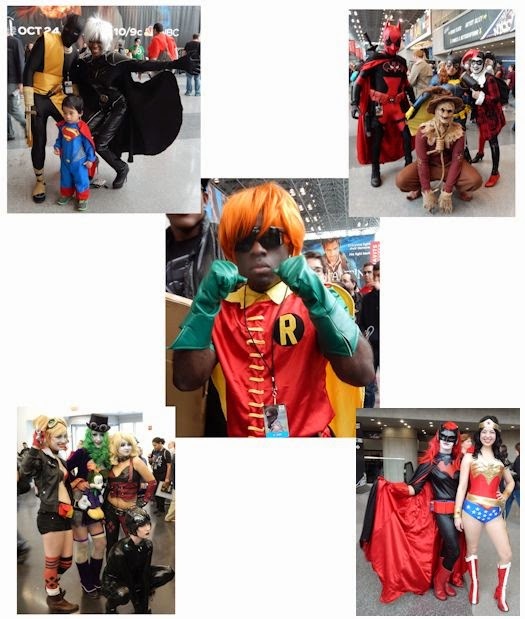 There are so many facets to NYCC and cosplay is only one. I thought that to understand cosplay better, I should cosplay myself so I chose Sunday as it was my lightest work schedule. My daughter and I decided to be Katniss Everdeen and Effie Trinket, respectively from the Hunger Games franchise. I thought I would be the version of Effie as seen from the upcoming Mockingjay Part 1. My daughter was pretty easy to spot as Katniss, but not too many people had seen the drab, gray, District 13 Effie. So I went virtually unrecognized. People still asked for photos and a few even stopped to read my name tags: Effie Trinket on one side, District 13 on the other. Effie was a fun character to get my feet wet as a cosplayer and I received many positive comments, but I definitely plan to go bigger and better next year. Upon reflection, I am even more impressed with NYCC than last year. It keeps getting better and better. The staff did a great job of keeping attendees safe and happy. My interviews with cosplayers increased my respect for their time and talent in creating these works of art. 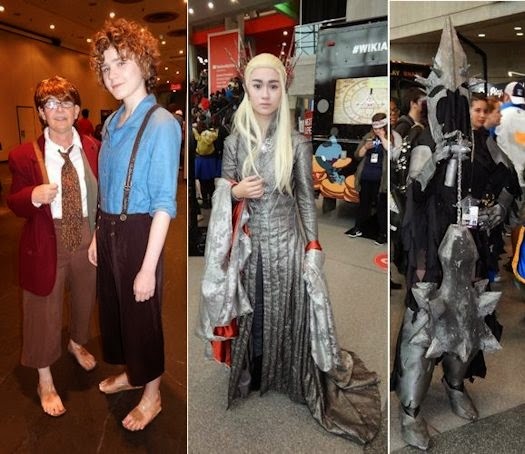 The cosplay at #NYCC2014 was all about wit, artistry, intelligence, and especially exuberance. Can’t wait for next year, hope to see you then! You'll be able to see TrinityTwo's full interviews at The Qwillery YouTube Channel here.